that they cannot imagine how they would have managed without me. Long-distance wedding planning is difficult and can be stressful without the help of someone here in France who does this all the time. 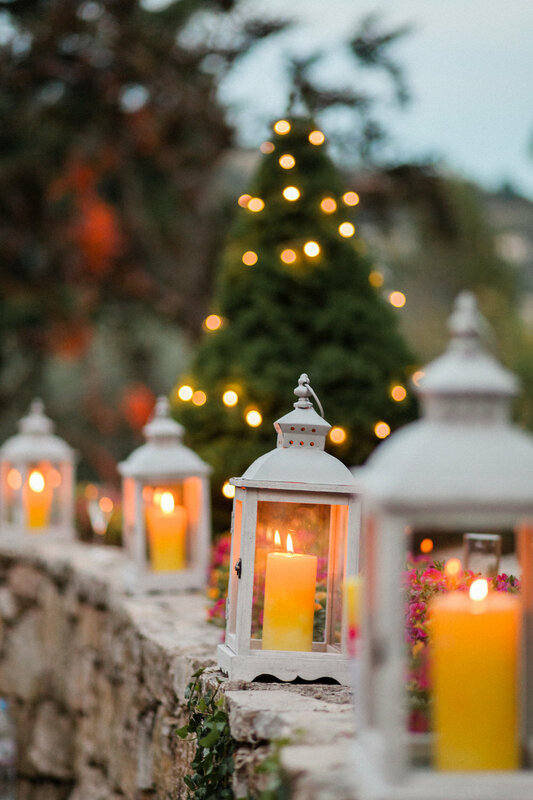 I am there to ensure that everything goes to plan on your wedding weekend, thus freeing you up to enjoy your day, your guests and your family. Hiring Lucy was one of the best decisions we could have made. We knew she would be the perfect fit when she found our venue, a place I thought only existed in fairytales. When we met Lucy her warm demeanor and professionalism gave us confidence in her delivery. She has a calming presence and made the whole day stress-free and seamless. If there were any issues that happened behind the scenes, we had no idea and were able to relax knowing that she had everything under control. Lucy went above and beyond the call of duty before and after the wedding day, helping us with all of the weeks details as well as translating for us non-French speakers. Planning a wedding in France from the States would have been nearly impossible without Lucy. All of her recommendations were spot on and she helped us to navigate our way through everything. If you are considering hiring a wedding planner, DO IT! And if you are getting married in the south of France, hire Lucy. 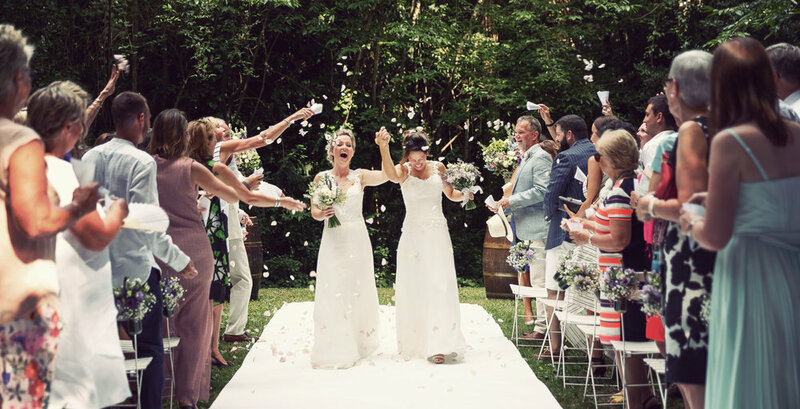 It is absolutely not an exaggeration to say that Lucy Till was the most important person in making our dream wedding come true in the South of France. Not only could we not have achieved what we wanted without a wedding planner, but we couldn’t have done it without Lucy specifically. We had originally thought that, given we had a year to prepare, we might not necessarily need local help, even though we spoke limited French and knew we wouldn’t be able to visit the area that much (due to us living in New York). We are so so glad that we decided against that, and having met Lucy (initially via Skype), she made such a huge impression on us in terms of her vision, zeal, ‘up-frontness’ and all round understanding of what we were looking for. She was brave enough to tell us where we were going wrong (including with our original venue!) and honest in what she believed we could achieve, whilst also introducing new ideas we would never have thought of. She was incredibly organised, and kept on top of every part of the process from beginning to end. It genuinely felt like we were the only couple she was looking after (even though we knew she was helping with many other weddings) - and we trusted her completely from a very early stage. From staying on top of the finances (incredibly staying within budget, despite all our changing demands!) to making it so easy to pay deposits and final amounts on time; she made sure there was never any late panic/missed payments. She provided ideas when we asked for them, but broadly worked hardest to try and turn our own ideas/vision into reality. She included us both in every step, but also got on with things behind the scenes when our own work commitments made it challenging for us to do so ourselves. We certainly felt like our special day was in safe hands! Crucially she was always available whenever we needed to ask anything at all. For the days leading up to the wedding, Lucy made herself available and made sure we could enjoy time with our families while she ensured everything was set up as we wanted it. On the day, everything went so seamlessly, with Lucy in complete control and dealing with any issues as they arose. She did so well in keeping any problems away from us both (so much so that we still don’t know if there were any! ), allowing us to fully enjoy the day. It’s testament to her that we both woke up ‪on Sunday morning, and thought that the wedding had gone exactly as we both dreamed it would. No mean feat! 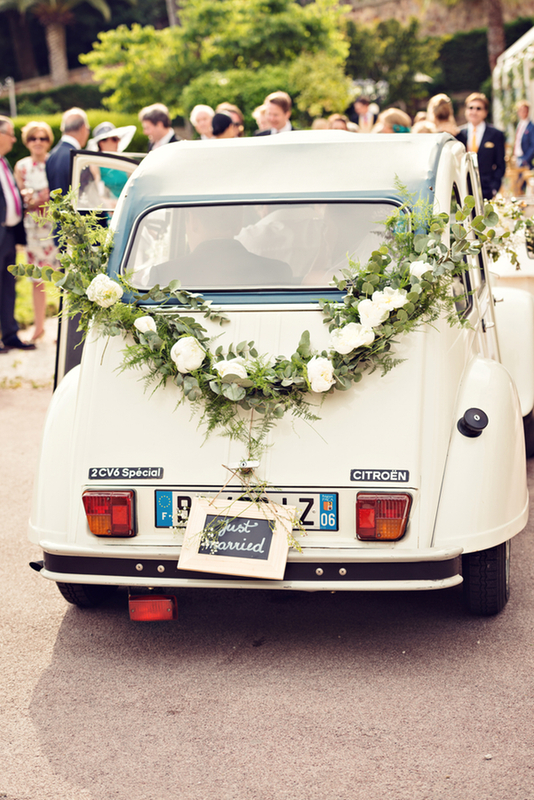 We would both absolutely recommend using Lucy to help with any wedding you’re thinking about in France or elsewhere. We don’t know what we would have done without her and will forever be grateful for everything she did for us. First of all, I just want to say a big thank you to Lucy! She was wonderful and truly amazing throughout the entire planning process and unbelievably helpful during the wedding weekend itself. Shortly after my husband and I got engaged and had decided to have our wedding in France, we started our search for a local planner. We talked to a few different ones, but the first time we talked to Lucy, we immediately felt very comfortable with her calm, patient and warm personality and we knew we wanted her to plan our wedding. It was the perfect decision. Throughout the entire planning process Lucy supported us tremendously. She helped us pick the perfect venue, pre-selected great vendors, so we only had to select between 2 and 3, and brainstormed ideas with us for our big day which she then transformed into reality. She even played the patient mediator when my husband and I were going in different directions and calmly helped bring us back to the same path. For our big day, Lucy planned a wedding that was purely amazing and we couldn't have wished for anymore. There was nothing that went wrong or at least we didn't know about it. Our family, friends and us were able to spend the most wonderful and celebratory weekend together in the South of France. Everybody has been raving about the wedding since we got back, a once in a lifetime event not just for us but for them as well. We can only say it over and over again that Lucy is just wonderful and fabulous to work with. We couldn't have picked a better planner to make our dream wedding come true. We can only highly recommend her to anybody who would like to get married in the South of France. 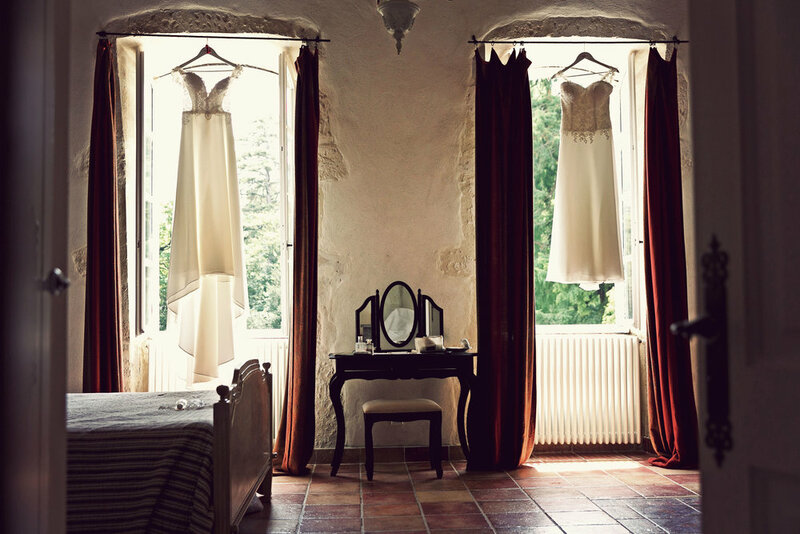 As a bride looking for a simple yet elegant and authentically French wedding, Lucy made all my dreams come true. She is calm, extremely personable, and became a good friend (even a shoulder to cry on!) through the course of our wedding plans. 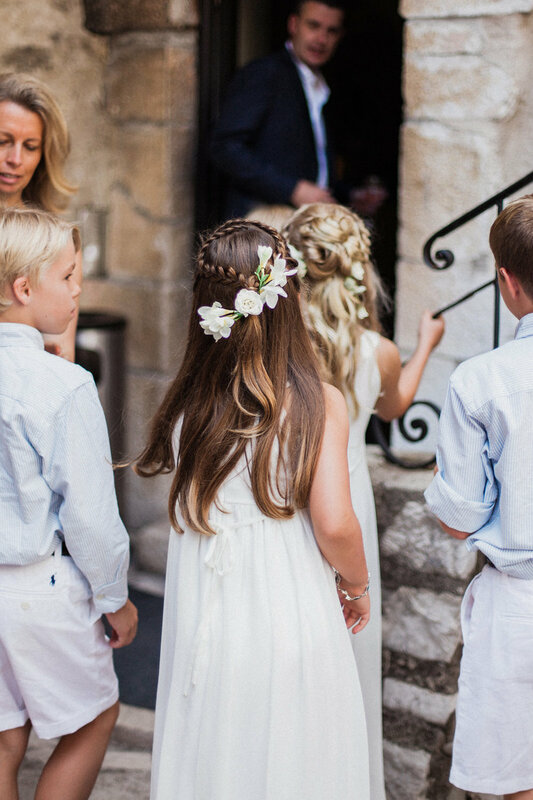 Lucy and her team of helpers became a part of our wedding day, mixing in seamlessly and keeping everything running smoothly without intruding on the party at any point. From the start, Lucy was a font of knowledge with loads of ideas and experience as we dreamt up our Big Day. She also has the language and charm to negotiate with local suppliers with ease. Lucy listened intently to all of our demands and requirements re food, venue, number of guests... and, crucially, budget. Remarkably she managed to cater exquisitely for all! We had the most magical weekend and the wedding would not have been half as enjoyable or perfect if it were not for Lucy. I couldn't recommend Lucy and her team more highly. Neil and I could not have been any more pleased with your firm. Your organization skills and attention to detail were absolutely remarkable and essential. Especially when we had a destination wedding with no pre-wedding visits, I am certain we could not have done it without you at all.Louisa and Katie were tremendous. They worked so hard. They were incredibly organized, calm, charming, helpful, kind, and eager. They thought of everything and they took care of everything. Louisa worked so well with all the vendors, staff, and the best man. I truly could not have done it without her. Katie was so mature and capable. At one point, Neil was saying to me “we need a bit of organizing”, and out of nowhere Katie appeared asking what she could organize. How incredible! It is rather remarkable that the profession of wedding planning did not quite exist a while ago but nowadays you wouldn’t think twice about having a wedding without a planner. Even so, I would not have wanted to work with any other firm than yours. Thank you so much for all your help. Thank you so much for everything. We recognize your wonderful job and will be always grateful! Giles and I would like to say a HUGE thank you for all your help on the wedding weekend and before. I honestly believe that without you I couldn't have had my dream wedding come true. Nothing prepares you for the spaced out/overwhelming feeling of your wedding and you are just the most calming presence. I'm a bit of a control freak/perfectionist but I had complete faith and trust in you and boy was I right. You can tell why you're so highly recommended. The results and how (and I have no idea how you do this!) you make everything look so easy!!! Thanks so much! "Lucy, Thank you! The wedding was perfect. And you certainly went above and beyond. I also had the opportunity to recommend you via one of my social networking sites this week, so who knows, maybe you'll have a new prospect coming your way! We will no doubt be in touch soon but thanks for everything. Thank you very much for your help over the past 5-6 months and especially over the weekend. It has been a pleasure to work with you and your skill and experience was clear for all of us to see throughout Saturday and Sunday. We feel incredibly fortunate to have had such a wonderful wedding and this largely due to all your help. 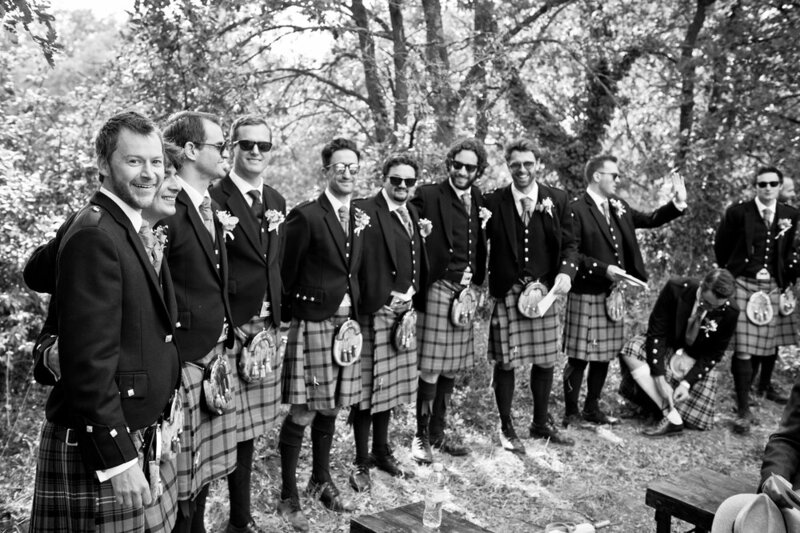 "My husband and I were married at Chateau de Massillan 16 June 2012 and could not have asked for a more perfect day! I am American, my husband is English and we live in Singapore. 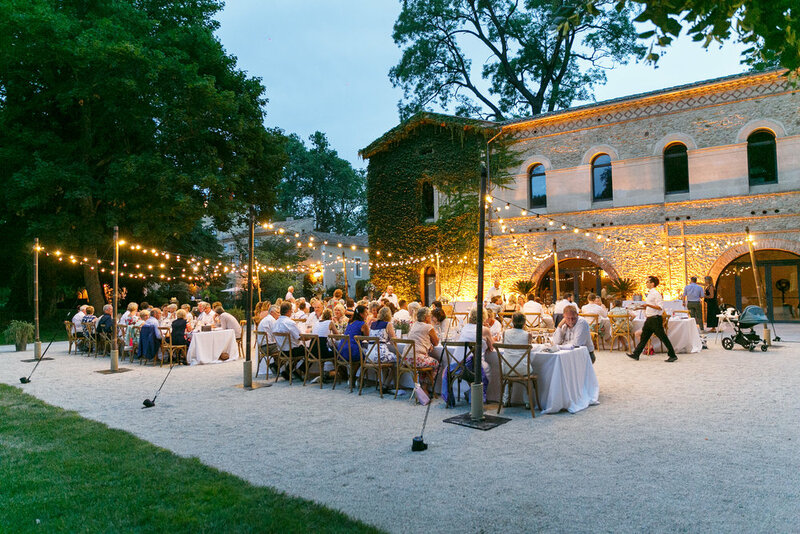 We wanted a destination wedding and felt Provence would be practical for our London guests and worth the trip for our guests coming from afar, including ourselves. Planning a wedding from Singapore without ever visiting Provence until a week before the wedding perhaps was a bit risky, but with the help of Lucy it was an absolutely magical day. We worked with Lucy to manage our wedding day logistics and help with referrals if we ever hit a dead end in trying to find vendors. She was immensely helpful as a local contact with extensive experience with vendors. About two weeks leading up to the wedding, I began to feel overwhelmed with tying up all the details and was thankfully able to hand over the final planning to Lucy. It was such a relief to have confidence in Lucy to finalize the many crucial details on a level that we would not have been able to achieve. 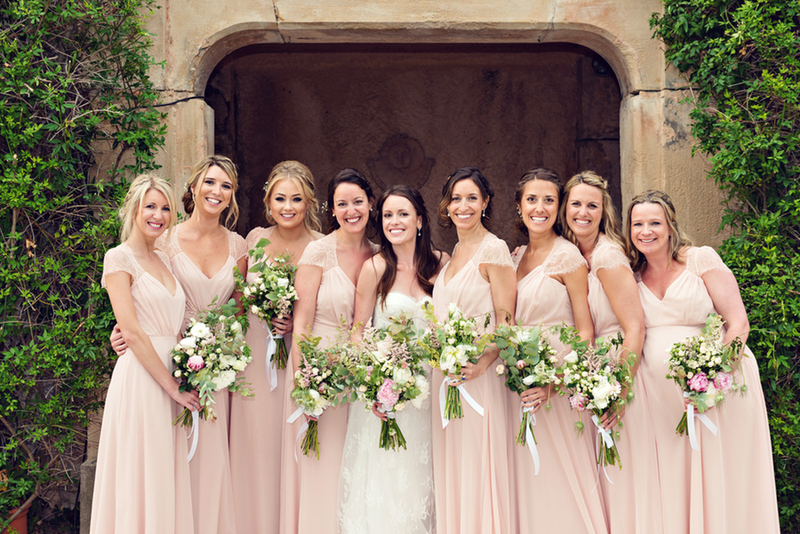 We cannot put into words how helpful it was to have Lucy coordinate our wedding day. To be able to enjoy your own wedding without a single worry is a dream. "This is just a quick note to thank you again for all of your help and hard work for Anne and Cody’s wedding. It was a delight working with you. You did, indeed, absorb all of the little bumps and stresses on the wedding day and I thank you for that. And the weather gods delivered a beautiful day. It was a lovely event - Anne has said it was everything she had dreamed of and more. Thank you so much." - Joan (Mother of the Bride). 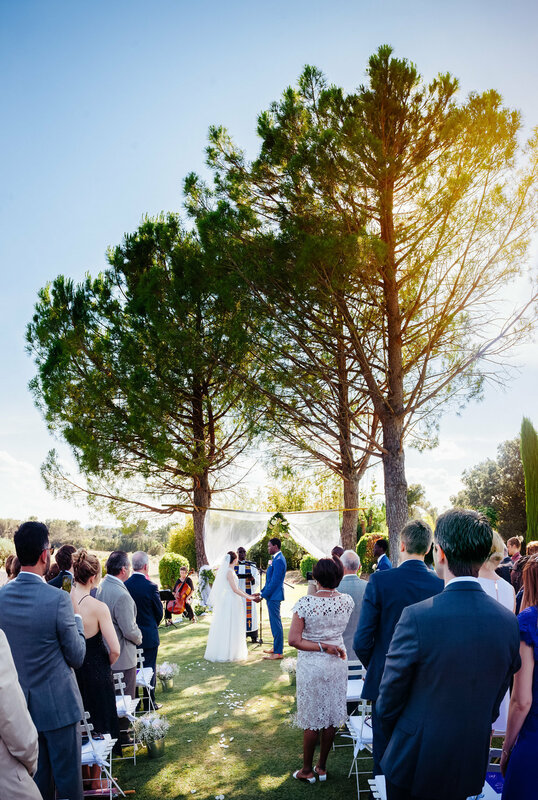 "From the original planning some 6 months before the ‘day’ through to the actual wedding and evening reception at two different locations in small French villages near Uzes, Lucy was the epitome of ‘cool, calm and collected’. Simply put – it went like clockwork. Lucy was always discreet yet omnipresent ensuring that all the celebrations proceeded without a hitch. After the wedding, all costs were itemised and were comparable to the estimates. A highly recommended service that ensured that the parents of the bride and bridegroom could just enjoy themselves on the day. " -Martin Shenfield (father of the groom). 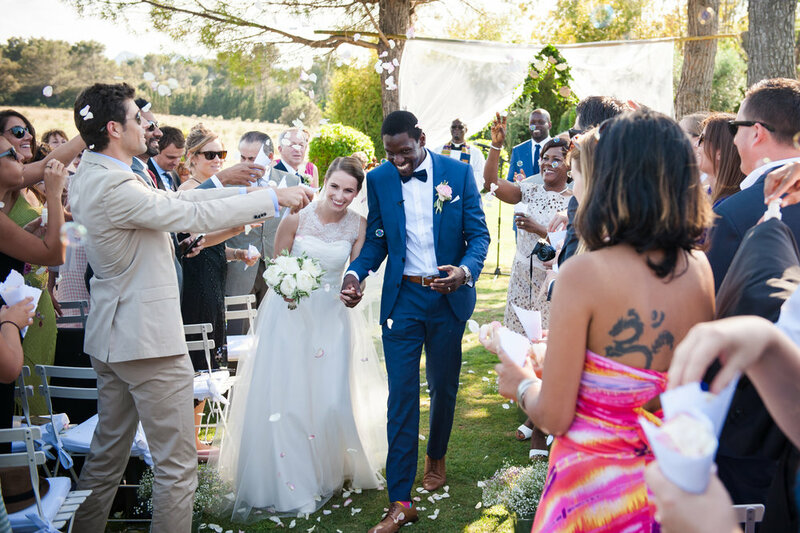 "We're a French/English couple living in London and decided to get married in the South of France. We heard about Lucy through our venue and decided it would be wise to have someone on the ground locally to help with all the arrangements the French end - thank God we did!! I honestly don't believe we could have organised the wedding without Lucy. From the very start Lucy was extremely charming and helpful - coming up with great suggestions and happy to look into anything we needed (even researching disabled equipment for one of our guests). 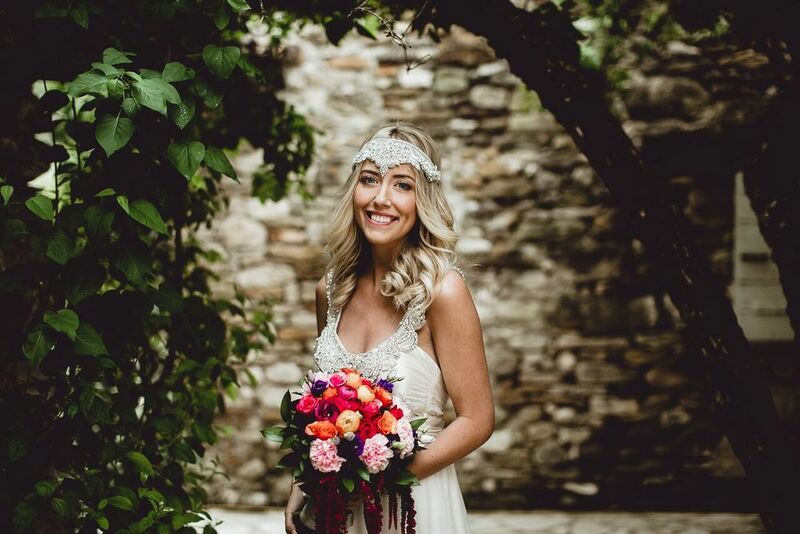 Throughout the whole process Lucy was a complete delight to work with - in the lead up to the wedding she was always on email or on the phone asking what we wanted, reminding us when payments were due to various suppliers etc. When we arrived in France prior to the wedding she was there helping us with all the last minute arrangements. On the day of the wedding, she arrived early and was an absolute pleasure to have around - no clip board yielding, head set wearing, shouty wedding planner as seen on films, just a really lovely presence making sure everything was in place and everyone was where they should be doing what they needed to do. She even ran out to source some beads (needed for the ceremony) we lost at the last minute as she wanted to make sure everything was exactly how we wanted it. As the bride I was able to focus entirely on attempting to make myself look glamorous and didn't give a second thought to what the caterer/babysitters/celebrant/delieverers were doing. Like magic, everything just seemed to be how it was supposed to be. Our wedding could not have gone better, the whole day was exactly what we had dreamed of and we received a billion comments saying it was the best wedding people had been to, in no small part thanks to Lucy - we can't recommend her services highly enough!! Thank you thank you thank you thank you!!!" "What can we say other than thank you so much from the bottom of our hearts.I know you worked unbelievably hard, and I must say the results did show. We had one of the most amazing days of our life and thank you so much for making it happen for us. Where to begin… We still can’t quite believe the masterpiece that you created. To say that you turned our dreams into a reality in an understatement and a half. What you created was beyond anything we could’ve ever imagined. It was the most magical weekend of our lives, and so much of that was down to you and the wonderful team you put together. Thank you so much for your incredible organisation, your patience and poise, your vision, your energy and enthusiasm, your honesty and your tireless hard work. We appreciated it all more than you know and you helped create memories that we will treasure forever. Bohemian Wildflower Wedding in a Field! David and I will be forever indebted to you for all of your help in putting together the wedding of our dreams. You have such a special touch - a rare combination of bags of creativity, pragmatism, energy and rigorous attention to detail. And you personalise it all so effortlessly – it still amazes me that we were one of the ten plus weddings you had on the go at any one time yet you made us feel as if we were always your sole focus!